Penny Crosman is Editor at Large at American Banker. 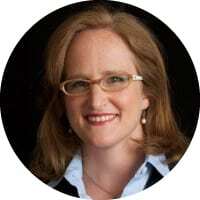 Prior to taking on this role, she was Editor in Chief of Bank Technology News and Technology Editor of American Banker. She has held senior editorial roles at Bank Systems & Technology, Wall Street & Technology, Intelligent Enterprise and Network Magazine, among other publications. HOW DID YOU GET TO BECOME AN EXPERT IN BLOCKCHAIN? I would hardly define myself as an blockchain expert. I’ve done a lot of research and interviews on many different blockchain projects, mostly in the financial services industry, and believe there’s potential for the technology to streamline processes that are convoluted today. WHAT AREAS OF BLOCKCHAIN ARE YOU MOST PASSIONATE ABOUT? I’m interested in how it can be used to help refugees maintain their identities as they settle in new countries, to help people invest in solar energy and other sustainable projects, and help ensure people keep the title to their homes (versus the MERS mess that contributed to the mortgage crisis). Some of the strongest use cases for the technology are digital identity, derivatives clearing, and debt tracking, as well as supply chain management generally. WHICH BLOCKCHAIN INFLUENCERS INFLUENCE YOU? OUTSIDE OF BLOCKCHAIN WHO ELSE INFLUENCES YOU ? In blockchain, going from pilots to production will be a theme. I think we’ll see supply chain, derivatives, and international payments blockchains go live this year.